This is my 50th published blog post, since the birth of this leadership blog on December 5th, 2011. Not a very significant milestone, I admit, but one that I wanted to celebrate with this post. In the less than four months of its existence, Command Performance Leadership has experienced some early successes. It has attracted a diverse audience of people who have been interested in exploring the synergies between military and corporate leadership, as well as fellow bloggers from all across the blogosphere. I sincerely hope that I have provided a quality, worthwhile resource on the internet, and that this blog has delivered on the expectations of those who have taken the time to find out more about the blog, and to learn what “Command Performance” leadership really means. I continue to work on the blog’s organization, recently creating a Site Map to properly index and organize the posts according to topic, genre or feature. The Site Map is intended to make it easier to navigate and surf the site to find content and archived posts. This has also been done to allow new blog visitors to catch up on what they may have missed, avoiding the need for them to page back through pages and pages of older posts, or aimlessly searching categories or tags. Creating a blog on WordPress has been a very interesting and exciting experience. The blogosphere is one of the least known forms of social media, although it seems to get most of its attention on the topics of politics and economics. It is my opinion that the blogosphere is cyberspace on steroids. But, if you really want to meet some truly fascinating people, just start a blog; a blog about anything. I have been introduced to people who I would have never met had it not been for this blog. In the short four months that Command Performance Leadership has existed, the blog has had over 10,800 page views by people from over 90 countries around the World, and has attracted 119 followers. Proof that if you build it, they will come. Some Spiritual Leadership from General George S. Patton, Jr.
For some reason, one of my favorite posts has fallen to the very bottom of the rankings among all 50 of the posts. I thought for sure that the post, “Merry Christmas,” would have gotten hundreds of hits. I think that it didn’t get very many views because I posted it very early in the life of the blog; less than three weeks after it was started. At that time, the blog had very few visitors and followers. Maybe now that I have featured it here, it will get a little bit of a boost. When you see the post, and watch the two videos, you’ll see why I say that. Unfortunately, it is early Spring, and the true impact of these holiday videos will not be felt if you were to view them now, as we typically have a seasonal spirit around Christmas. I sincerely appreciate all of the people who have visited my blog, especially those who have subscribed to be followers. I am humbled by the blog’s success thus far, and will strive to continue to deliver quality content going forward. Starting with this blog post, things will really get ramped up. The frequency of my posts will increase, as will the in-depth discussion of leadership. I invite you to continue this journey with me. Thank you for your continued readership and support. This blog was created to become the springboard for writing the book, among other reasons. I knew that I needed to get into the routine and practice of writing regularly, and that I needed to create a theme that would create the framework for what the book would become. 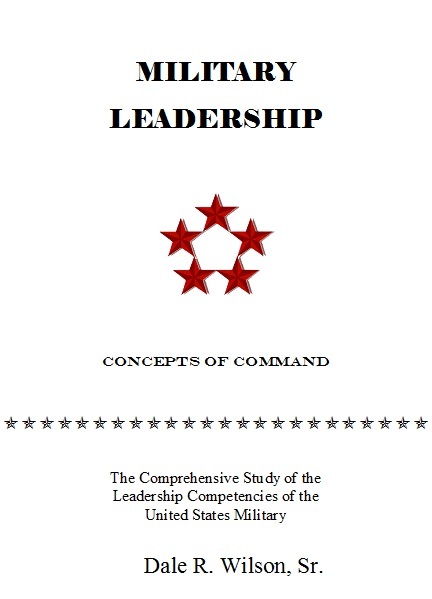 December 5, 2011, was the birth of a leadership blog now known as Command Performance Leadership. Ultimately, the content of the blog will be my notepad and library of information for writing the book. As the blog develops, you will begin to see a common theme and pattern, as I begin to piece together the content of the book. I’m not suggesting that I won’t bounce from topic to topic and back again, but you will notice that certain chapters will be formed. We have already gone through a few topics that will form the content of the book, such as Qualities of a Leader, Core Values, Eleven Principles of Leadership, and Qualities that Lead to Success, as well as the posts in the toxic leadership series. As I continue to format the blog, it will soon take on the theme that I am after. I’d like this blog to become a destination, just as a library would be, for anyone who wants to learn from and contribute to the subject of military leadership. Hence, the Command Performance Leadership blog will become a virtual library. Along with writing this blog and the book comes the research and study about the topic of military leadership. This is what I am looking forward to the most. As you can imagine, I am fascinated with the subject of leadership, and, of course, military leadership. Understanding that I am below an amateur when it comes to writing, and the reason for this blog is to strengthen my writing skills, I am hopeful and eager to discipline myself into a routine where my studying and writing habits are developed. I can easily equate the work and research I am about to conduct to getting a masters degree in advanced military history and leadership. I welcome the challenge, and look forward to the long, hard march. Most importantly, I am glad you are along for the ride. Below, I introduce the draft of the Table of Contents. It remains a work in progress, and is not nearly complete. It is the outline of what will become Military Leadership (Concepts of Command). In chapter one, I will write about the history of the people and philosophy of military leadership throughout history. Chapter two will discuss what leadership is, what makes a great leader, the rigorous schooling (such as military academies, ROTC, OCS, etc. ), and the profession of arms. Chapter three will more specifically go into the principles and virtues that make a great leader, and how to capsulize those qualities into a successful leader. Chapter four will be about leading on the foundation of strong character, built by strong moral responsiblity, leading by example, and guided spiritual by one’s faith. Chapter five will go into some of the personal management traits vital to becoming an organized and forward-thinking leader; organizational skills, time management, stress management, personal responsiblity, managing your life’s skills, etc. Chapter six puts everything into action on the battlefield of life. Chapter six’s title pretty much speaks for itself; “Theory into Practice ~ Officership in Action.” Chapter seven is entitled “Human Factors that Contribute to the Leadership Challenge,” and discusses the challenges we face as human, let alone military leaders (or, leaders in general), that are forces to contend with; fear, stress, anxiety, fatigue, etc. Chapter eight moves into the topics tactics and strategy as a leader. Not maneuver tactics or strategy, but leadership tactics and strategy. Chapter eight discusses critical thinking, decision-making, motivation, and problem-solving. Chapter nine discusses change and transformation of people and the organization. Chapter ten takes everything that has been discussed previously in the book and discusses the action phase; putting everything together to lead the organization to victory. Chapter ten will play out as an actual battle plan for leadership. It will go into preparedness for taking action, communicating intent, ensuring the readiness of the organization, staging the resources for battle, maneuvering toward objectives, the struggles in the face of adversity, after action reviews, accountability and mission accomplishment, etc. Putting it all together – The Power of Pride – Duty Calls – Mission Ready – Command Performance – The Long, Hard March – Maneuvering Toward the Objective – Facing Adversity & the Test of Fortitude – Mastering the Challenge – After Action Review – Assessment, Responsibility, Accountability – Reaching for the Stars – Mission Accomplishment ~ Job Well Done!